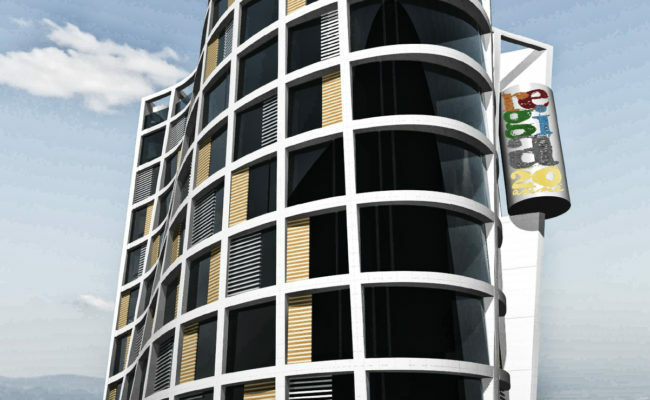 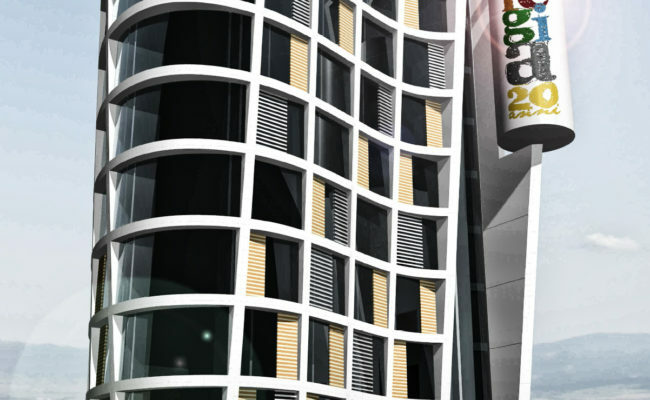 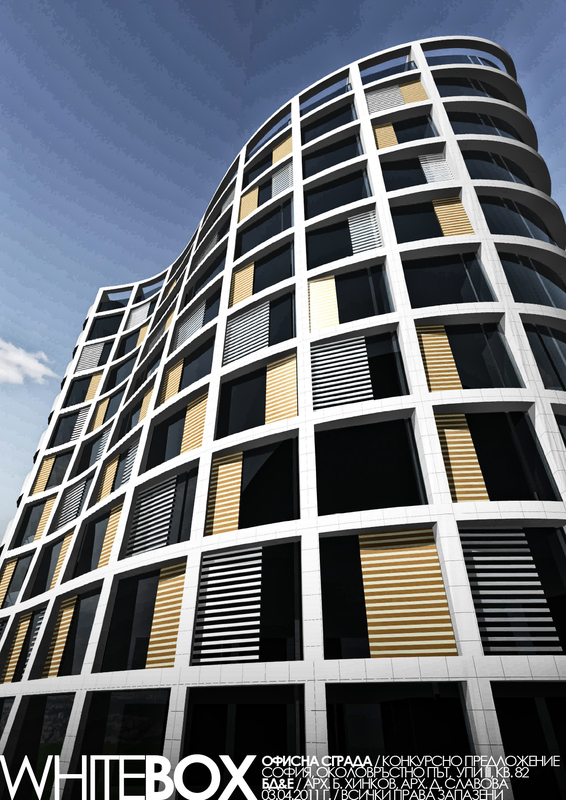 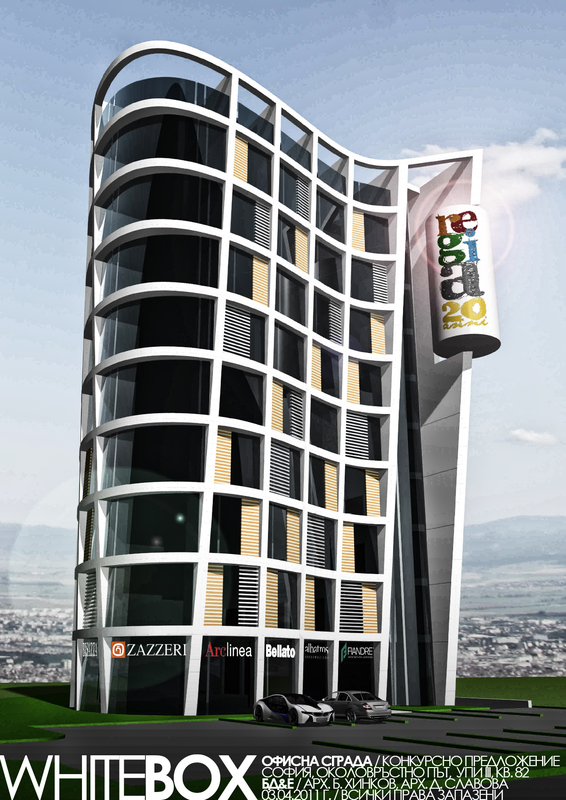 Project proposal for office building on the outskirts of the city of Sofia. 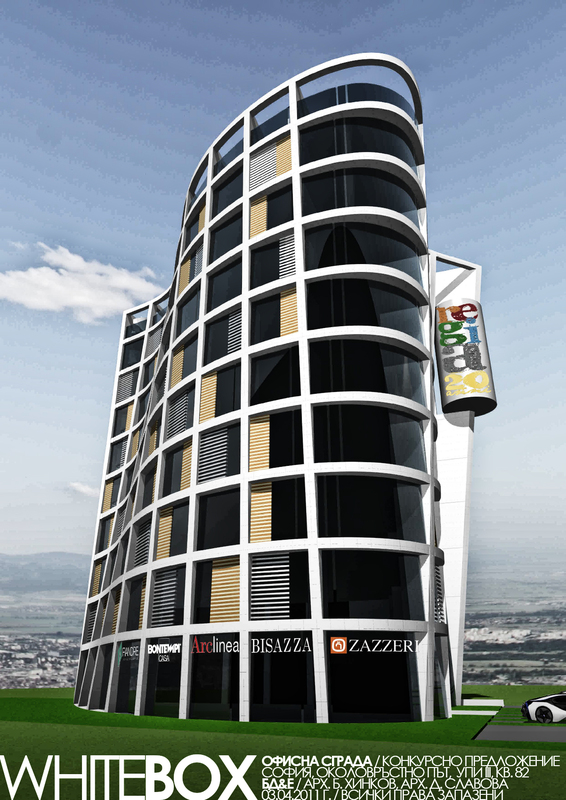 "Transforming in hight" floating design stressing the vertical spatial evolution of "ordinary" appearing structure. 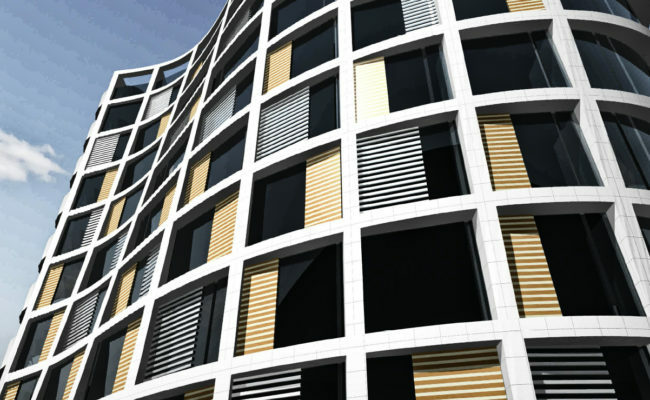 Open floor layouts with panorama view towards the mountain of Vitosha with incorporated external shading elements in the facade.